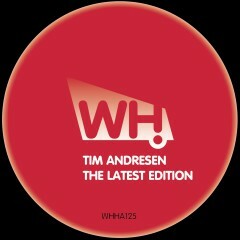 Tim Andresen has been at the forefront of Scandinavian clubbing for a couple of decades and keeps building his reputation. He is now running two successful record labels while also standing toe to toe with every DJ worth their salt at his Culture Box residency in Copenhagen when he’s not on international duties. Tim has been enjoying a stellar year to date. He has delivered an awesome run of releases via Savoir Faire Musique, Younan Music, Ready Mix Records and What Happens and now presents The Latest Edition for our 125th release. He creates a steady groove to bring us into the track. As it progresses with layers of pads the atmosphere starts to become a bit more hypnotic! With a spoken vocal to take your mind off of the other elements a various amount of synth stabs and effects automate through the track progressing it even further. The Danish whirlwind continues his excellent form of late.